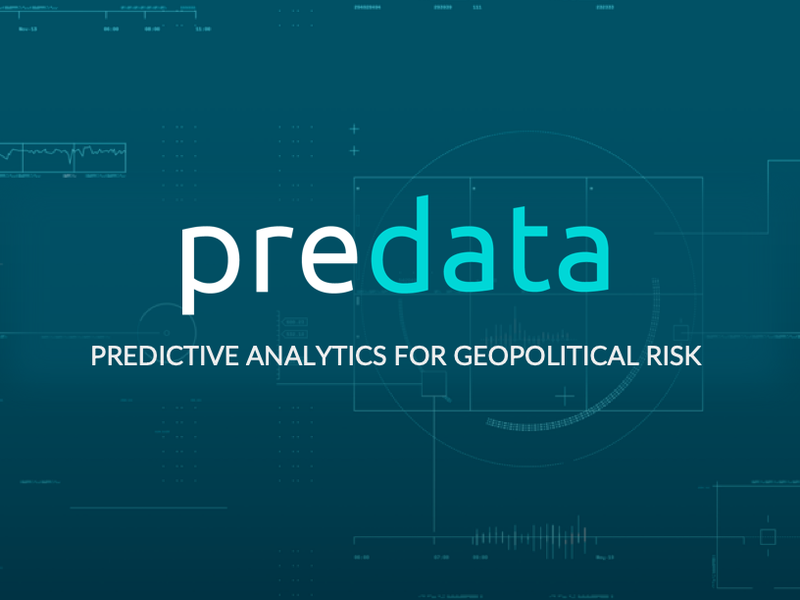 Predata’s Brexit signals monitor the salience of specific issues and the resonance of the messages of different factions in the Brexit negotiations. Here are some takeaways from 2018 and what we can expect going forward. Don’t underestimate the Remainers. 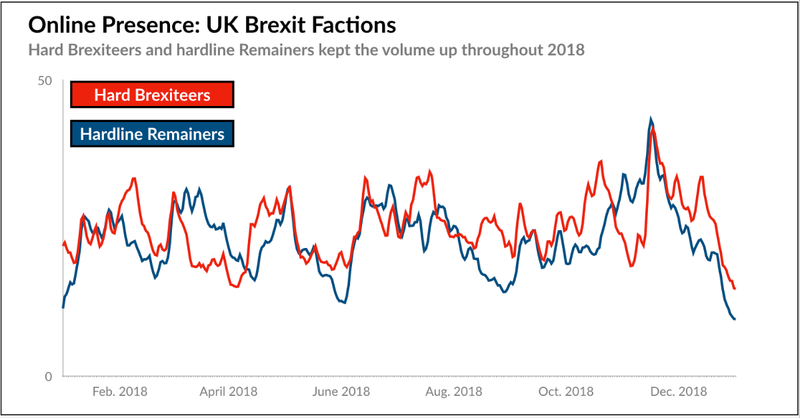 Though in 2018 the strident Brexiteers often dominated the headlines and op-ed pages, the hardline Remainers were active and garnering high levels of engagement on social and collaborative media. 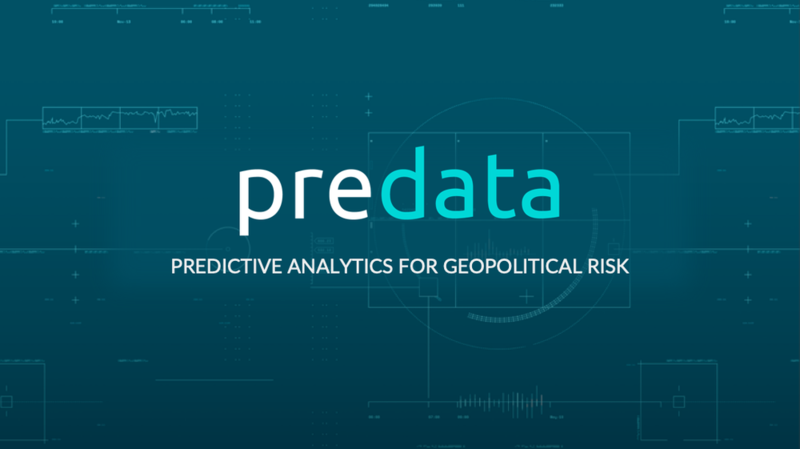 Even if their efforts do not result in a second referendum, their presence as a political force will likely prevent Theresa May from getting her Brexit deal through a parliament that now outflanks her on two sides and is due to vote on the deal on January 15. The Europeans are tuning in. 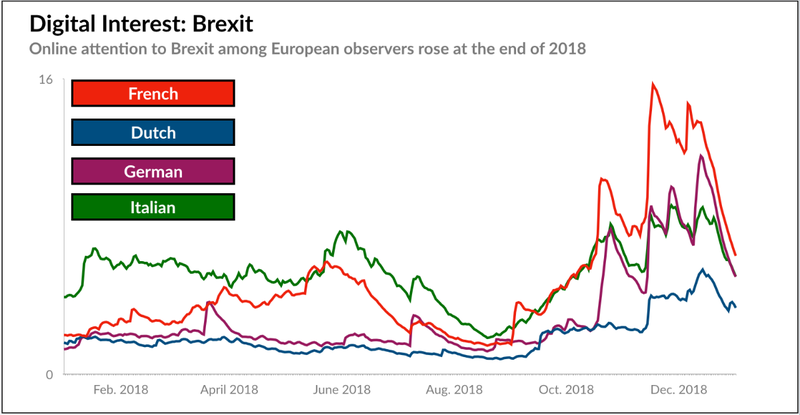 As the image below shows, European internet users have been paying more attention to Brexit. That could mean one of two things for the EU’s willingness to offer flexibility to Theresa May: 1) under greater scrutiny, European governments will be less likely to make concessions, or 2) Europeans may be becoming aware of and concerned about the potential for and consequences of a no-deal Brexit. The Issue of the Border in Northern Ireland isn’t going away. 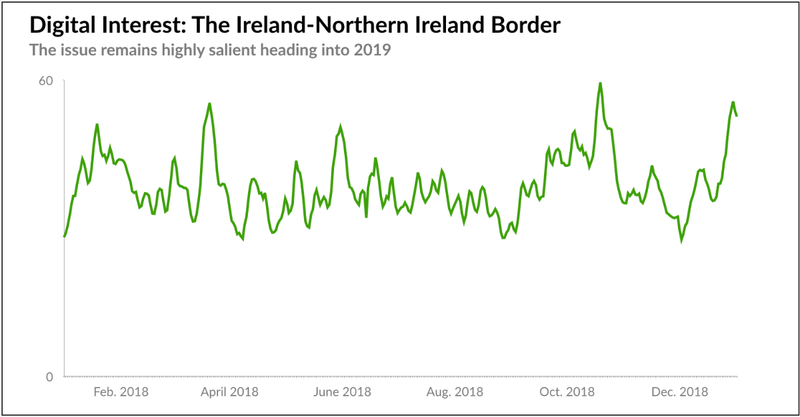 By the measure of online activity over the subject, the Northern Irish border remains the most salient issue in the Brexit debate. The EU’s concern is that an open border in Northern Ireland could be a backdoor into the Internal Market for the UK. Brexiteers, too, worry about the backdoor, but that it will mean the UK gets entrapped in the EU regulatory regime. As a result, the border remains the policy issue most sensitive to developments in Brexit. And major spikes in attention to the subject have tended to accompany bad moments in the negotiations for the UK government.